Miss Heather has always loved performing and singing as well as working with children. After becoming a mother, Miss Heather was always on the lookout for opportunities to broaden her son’s horizons. 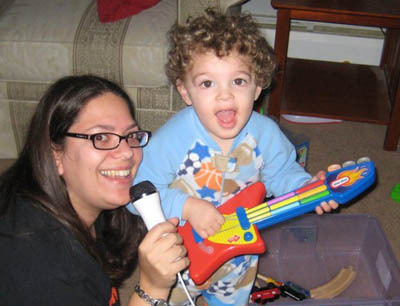 Miss Heather became active in several Mommy groups and began hosting monthly music classes in her home. After a suggestion from another mom, Miss Heather realized that she had something special and went for it. Thus, Shake ‘N Make Music was born. Miss Heather is a certified teacher who loves music. She is the lead teacher for "Shake 'N Make Music" and loves her job! Miss Heather has taught in several Long Island school districts, as well as private day care centers and summer camps. Besides teaching, Miss Heather has also directed several drama club productions in various schools. Miss Heather lives in Long Island with her husband, Ethan, and her two boys; Gavin and Miles. 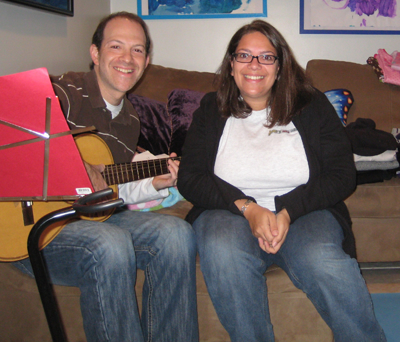 Neil Walowitz is proud to be Shakin’ and Makin’ Music with his younger sister Heather Welkes. 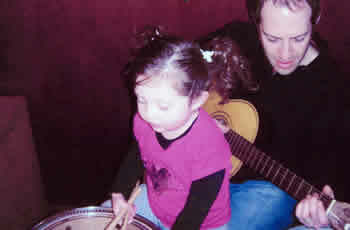 Neil gets to combine his passion for music and love of teaching children through Shake ‘N Make Music. As a public school music teacher and dedicated father of three, Neil values the role that music and movement plays in child development. Neil is a Shake ‘N Make Music instructor and the primary songwriter. Neil lives in Long Island with his wife Danielle, and his three kids; Lily, Tyler and April. © 2011 Shake N Make Music, LLC.